Finally! I made it to the head of the class. 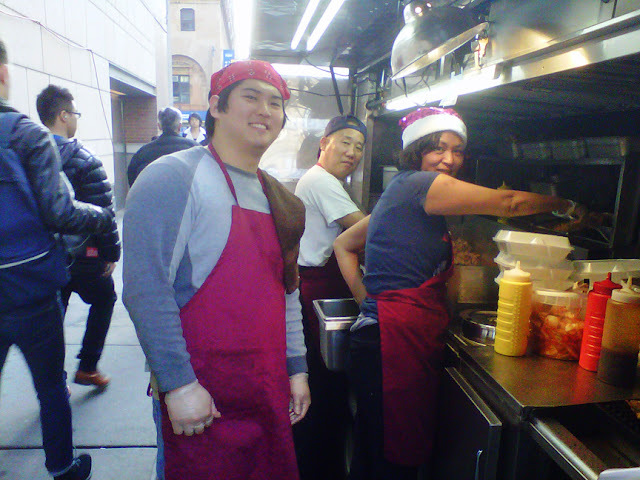 A long food line bears great rewards at lunch time near Baruch College. 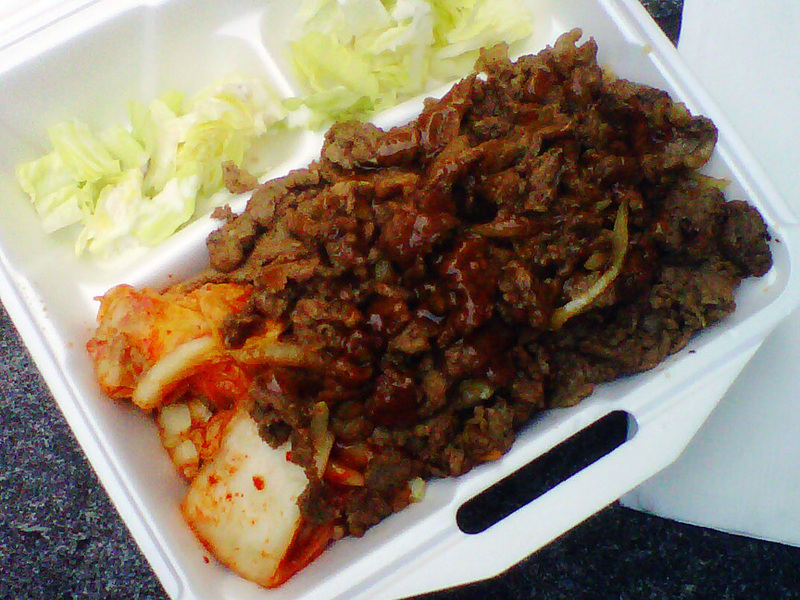 “Do you want kimchee with that?” “That’s why I’m here.” I said to the young guy managing the orders at the head of the food cart. 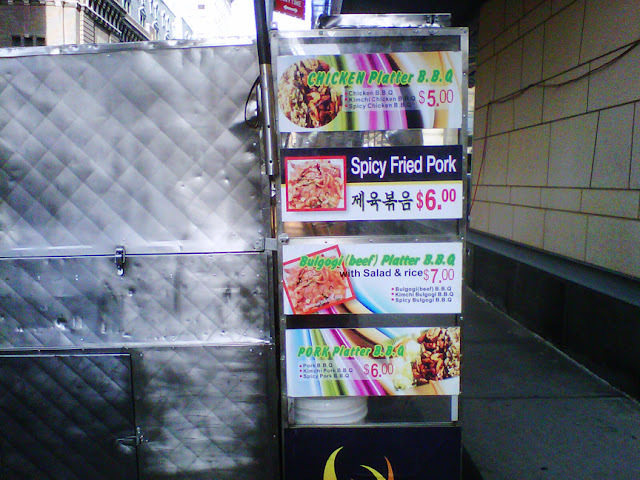 I pass this Korean food cart often as I walk past Baruch College. 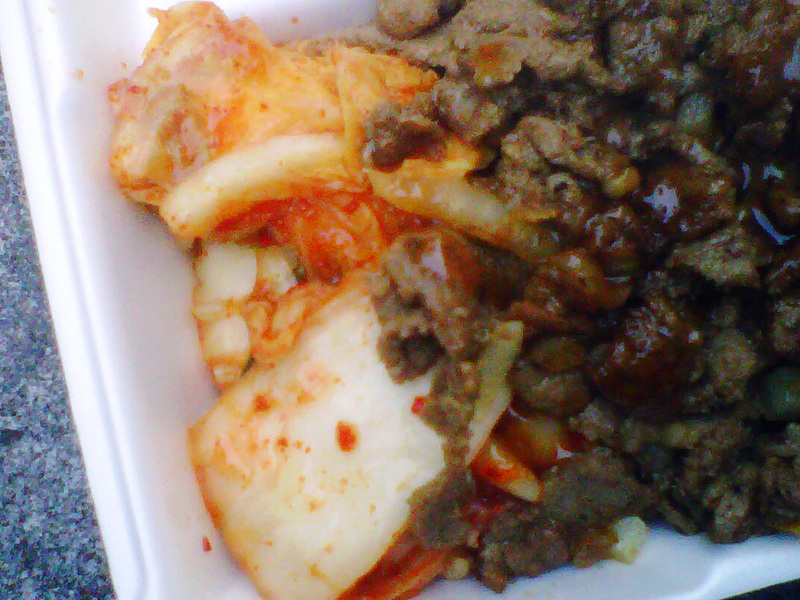 Usually the line is long, crammed with hungry undergrads looking for good cheap eats between classes. I couldn’t pass it this time, the aroma of grilled meat pulled me in like a smokey hook. So I turned around and took my place in line with my $7. They’ll be there through the winter, folks. So if you’re cold and hungry, wandering around Lexington and 24th Street and you see a long lunch line forming, don’t hesitate, jump in.